Anyone with information is asked to call Detective Taylor at 636-529-8210. ST. LOUIS COUNTY, Mo. — Police are looking for a recent gunshot victim who has been missing since March 3. Police said Kenneth Bowman, 31, was reported missing on April 5. Family members said he hadn't been seen for more than a month after leaving a family member's north county home with a man they did not recognize. Police said he is about 6-feet and 195 pounds with black hair and a beard. 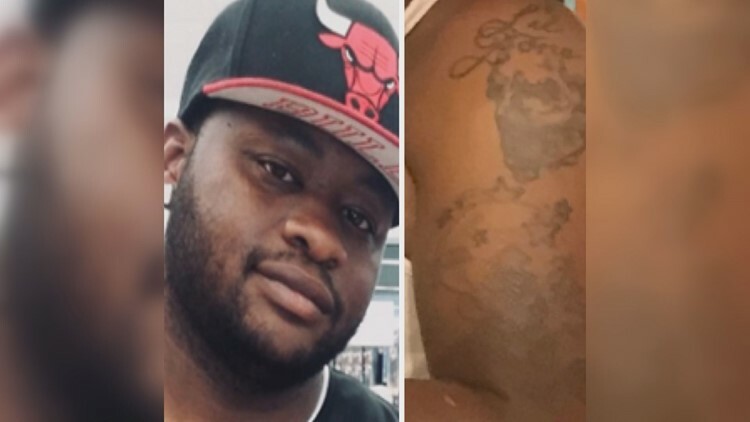 He has a large tattoo on his left shoulder and a visible gunshot wound on his chin. He was last seen wearing blue Dickie pants and shirt and a red, white and black Chicago Bulls skull cap.